Thank you for sharing my story. You are a treasure. Suzie – you’ve always been an inspirational author, speaker and beautiful person. I’m blessed to be a part of all you share. I love the point you make about Jesus changing you Suzie. That is were it all starts…in the heart. Once God begins to transform your heart, you can begin to see things through His eyes. I;m thankful God has chosen me to be a part of His family. He continues to strengthen and transform my heart Thanks for giving us a glimpse into your story, and thanks to Kristi for sharing. I hope you both have a wonderful week and may God bless you in all your endeavors..
It’s my honor to share space for testimonies like these, Horace. 😉 You never who will find encouragement amid the words. Go Jesus! Thank you, Suzie, for the reminder there is no substitute for the grace Jesus offers. He wants nothing less for us but to receive all that He has for us. Thank you, Kristi, for sharing Suzie’s story! Thanks, Crystal. I love these Tuesday testimonies. They offer such encouragement for our faith, don’t they?! I would love a free copy to share with a dear friend miles away, who is having a touch time with the passing of her husband due to Alzheimers. He was an amazing retired pastor and she pours out to others but now needs refilling. Thank you for sharing your story! Your words Suzie speak to my heart! My hubby is having open heart surgery tomorrow morning and there is no one better to speak to than Jesus! He will see us through this and the many more challenges to come. Your words reminded me whose we are. Blessings on your continued ministry and thank you for sharing Suzie’s words today Kristin! 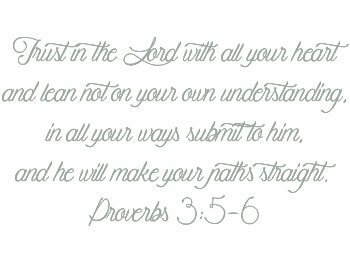 Although I’ve known the Lord for quite a few years now, I’m so thankful that He is constantly transforming me & my way of thinking. Your words have always been a blessing to me. 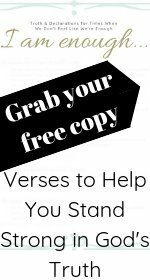 I would love a copy of your devotion! Rose Ann, you’re the winner! Please watch your email inbox for more information. Love, love, love this post, Kristi and Suzie. I already have a copy of the devotional, and it’s a treasure. If my name is drawn, please give someone else a chance. 🙂 Sharing this on FB and Twitter! Wise words! Isn’t it great to know we can always be transformed, never give up hope! I know I’m at least one of the women in your life who exclaimed about your beautiful skin, Suzie! And yes, while we are so much more than what is seen at the surface, we are treasured and loved far greater than we often accept. Jesus invested His entire life for our sake. I believe He absolutely loves when we invest in ourselves for His sake — even right down to tending to these bodies which are His vessel. While I knew a little bit about your skin troubles, I had no idea it caused such pain in your childhood. My daughter suffers from a terrible skin condition on her hands and feet. It’s rare. It’s hereditary. Most physicians wrongly diagnose it as eczema. One day she will have a loving spouse who tends to her raw, peeling skin the way I tend to her daddy’s. I love your heart, Suzie. Jesus knows where you invest your deepest desires — and He loves that you are celebrating freedom from a thing which has held you hostage for far too long. Praise God for dime store deals, and for expensive products when the cheap stuff just won’t do. Love this in so many ways! Thank you for sharing Suzie’s story, Kristi! 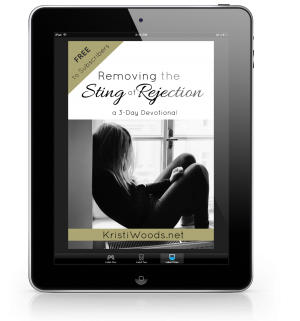 Suzie and Kristi, this devotional has been on my to-read list since I first heard about it. Sure to be a blessing to all who read it! Beautiful words, Suzie. So glad to see you at Kristi’s today! And you DO have beautiful skin, but I know Jesus loves your heart. This is a great devotional! Kristi, like Sarah, since I already have a copy, I’m commenting not to win but to respond to Suzie’s words today. Thanks, friend! Love this analogy and story, Suzie! I’m a dime-store gal too, so I can relate to that and the ongoing battle with health issues. But oh my! What God teaches us through them. So glad you are finding something that helps your skin and learning at the Master’s feet so that you can bless us all with these wonderful insights! Thanks to Kristi as well for sharing your story with us today! It’s so easy to pray for the changes to be made to situations but I know that I don’t pray for me to change. Thanks for the encouragement. I so need to remember this: “Jesus invites us to real change. The kind that is transforming…” So often I’m looking for a quick fix to get out of my situation. Jesus wants to transform me. How beautiful to see Suzie’s message here, Kristi. Keep up the good work! Thanks for stopping by, Betsy. It’s a joy to offer space for daughters of His. Beautiful words reminding me of the grace of Jesus. His beautiful grace. Thank you for sharing, your words are an inspiration, “Jesus doesn’t want us to live with anything less than what he offers.” Amen. Thanks to all who entered the giveaway. Rose Ann is our winner of Suzie Eller’s Come With Me Devotional. Blessings!